Our team is NPTC/LANTRA qualified to carefully remove trees regardless of size, situation or access. We normally use rope access systems however we are IPAF qualified in MEWP access and we can arrange traffic management, road closures and parking suspensions. 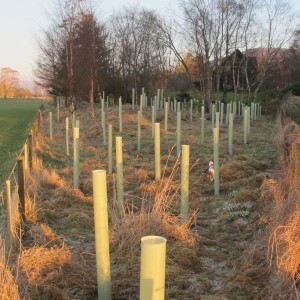 We also deal with Councils for trees in Conservation Areas and TPO trees. 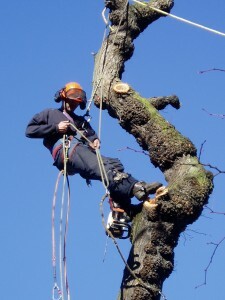 Our team is NPTC/LANTRA qualified to undertake all pruning operations including crown-lifting (e.g. above roads), crown-reduction (to reduce wind loadings and reducing back from buildings), crown thinning and removal of deadwood and unsafe branches. 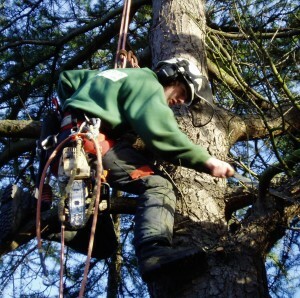 All work is carried out to British Standard BS3998:2010 ‘Tree work – Recommendations’. Please call us and arrange a site meeting! We undertake various planting options from planting small ‘whips’ in tree shelters to larger ‘Standards’; often replacement trees as requested by the Local Planning Authority. We can undertake a ground assessment and soil survey and provide advice on the best species to grow to provide seasonal interest and diverse wildlife habitats. We can provide aftercare including application of fertilisers and herbicides and ‘beating-up’ services. As well as causing a trip hazard, stumps left after a tree has been removed can cause localised Honey Fungus hot spots. We operate heavy duty North American stump-grinding equipment, excavators and winches in order to get the job done. To comply with Health & Safety regulations we use a Cable Avoidance Tool before stump-grinding operations. Cable and bracing is performed as a preventative safety measure to trees that have structural problems. We provide cabling and bracing using the latest equipment from Cobra, an award winning tree support system specially designed to be flexible, shock absorbing and cost-effective. Hedge-trimming can be a difficult and time-consuming activity, particularly if you’re having to work at significant heights. Our team is IPAF qualified to use MEWPs (work platforms) and we have a number of hedge ladders and pole-based trimming equipment. 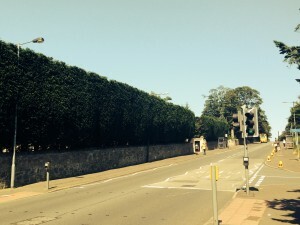 Our team can perform regular maintenance for your hedges. As well as our tree contracting work we can also offer a comprehensive tree consultancy service to all of our residential clients. 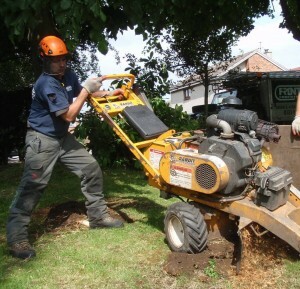 We will work with you to manage the safety of your trees in the most cost effective way and we can provide advice on the impact future property development is likely to have on your tree roots in accordance with British Standard BS 5837:2012 ‘Trees in relation to design, demolition and construction – Recommendations’. 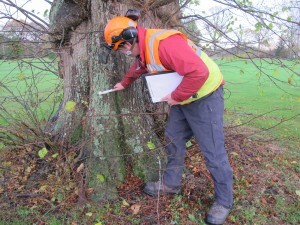 Accurate assessment of wood decay is an important element in tree risk assessment. We operate one of the few ‘PICUS’ Sonic Tomographs in Scotland. 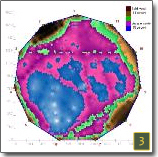 This relatively new technology from Germany is able to ‘see’ inside the tree and calculate the extent of decay; producing a computer generated tomogram image which is easy to understand. After 15 years our machine has saved many trees from felling as well as revealed trees with unexpectedly high levels of decay. Your chaps did a great job, turning up on time, doing exactly what they said they would, and leaving the site clean and tidy! It’s rare to find service and quality like that in anything these days, so many thanks for your efforts. …just to say thankyou, and as the last time, that your team was first-class – expert, professional in approach, helpful and courteous in manner – a very good advertisement for Frontier Forestry. I was very pleased.